‘Red Rooster’, ‘Toffee Twist’, ‘Evergold’ and ‘Orange Sedge’ are all great varieties to use in fall and winter containers for either height or contrast. 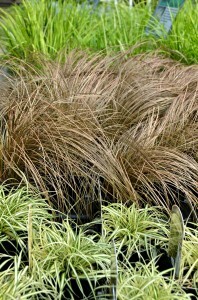 Carex are typically evergreen throughout the winter and hold their beautiful color all year long. From shades of copper-red to cream-yellow. 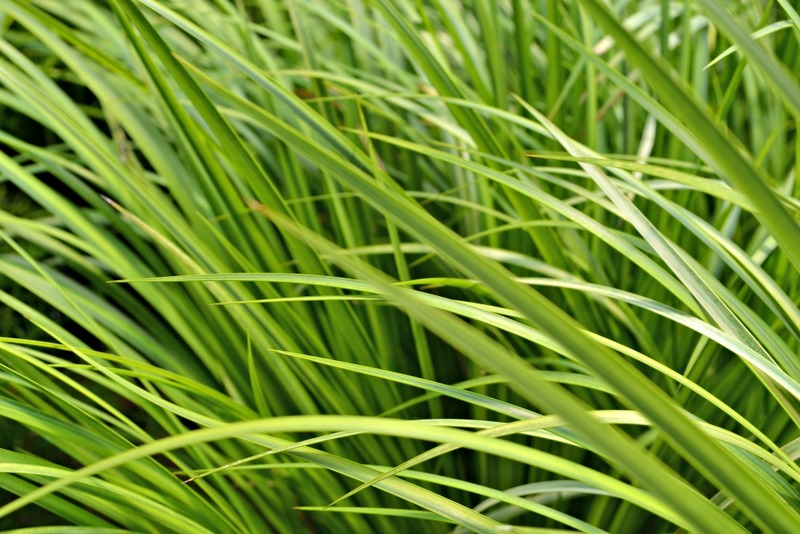 Most Carex stay around 1-2′ tall. Their compact nature make them a perfect candidate for any container or perennial garden. 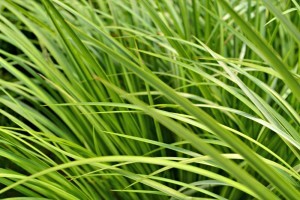 Carex can take full shade to full sun with ample moisture. 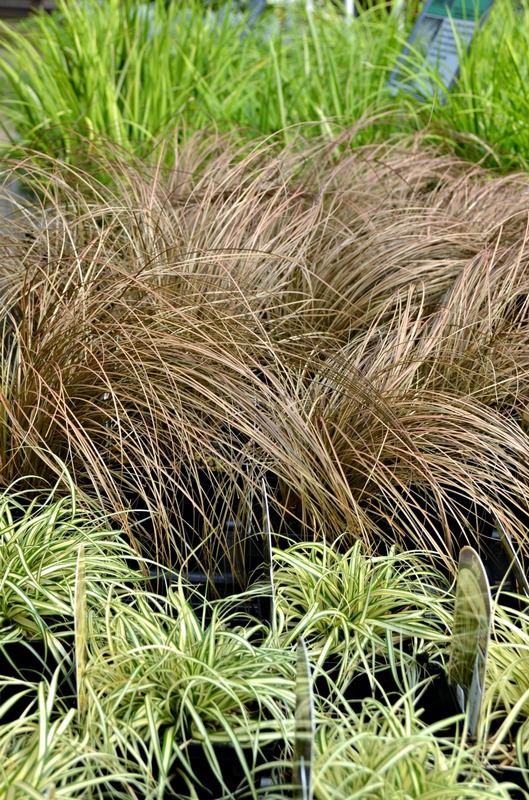 Acorus, or Sweet Flag, is an elegant, informal evergreen grass that does well in fall and winter containers or perennial gardens. The more showy varieties include ‘Ogon’, ‘Variegata’ and ‘Minimus Areus’. Ogon has beautiful chartreuse green foliage that does well in part shade to full sun with ample moisture. Acorus ‘Variegata’ has very unique, two-toned, dark green and cream striped foliage which is a difficult color to find in fall and winter evergreens and perennial. 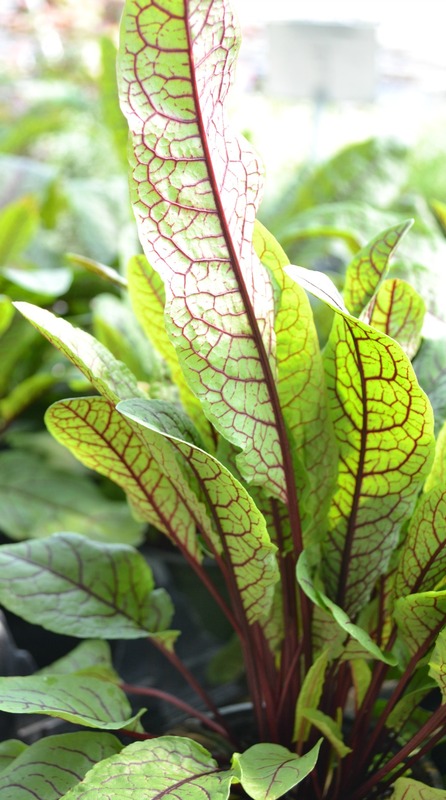 Both ‘Ogon’ and ‘Variegata’ only reach about 1′ tall and about 6″ wide making them an excellent medium growing container filler. ‘Minimus areus’ is a dwarf Acorus with the same chartreuse foliage as ‘Ogon’ but works well in smaller containers or as a nice ground cover in your perennial garden. All Acorus prefer partial shade to full sun with ample moisture. They are relatively slow growing and low maintenance. 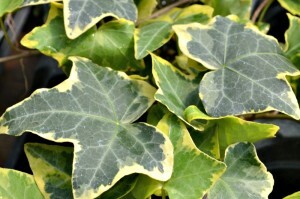 Ivy is great for full sun or shade in the fall and winter months and shade to part sun in the summer and spring. 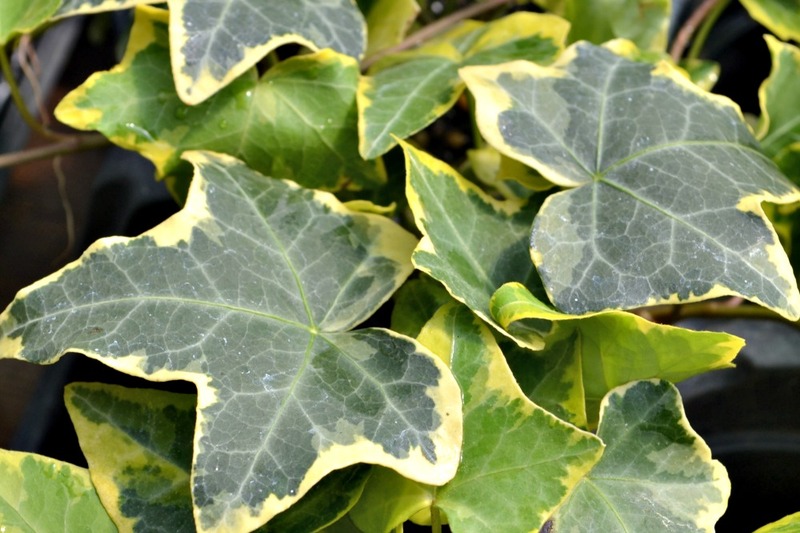 Ivy is one of the few evergreen trailing plants for containers in the winter and fall that holds its color well and doesn’t die back. Artemesia is a very hardy semi-evergreen perennials that has beautiful silvery-green foliage. Great in containers and perennial gardens. Plant is full to part sun. Colchester white ‘Centaurrea ‘Colchester White’) is an excellent compound, evergreen perennial for your fall container or perennial garden that has beautiful purple flowers in the late Spring. Plant in full to part sun for the best shaped plants. 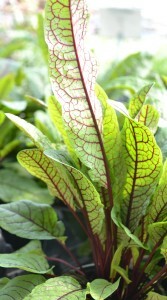 Rumex, also known as Sorrel, is a very unique evergreen perennial that has beautiful blood-red veins. This is a great accent plant in any container or garden. Keep well watered and plant in shade to full sun. Rumex can provide a maintenance free array of color. 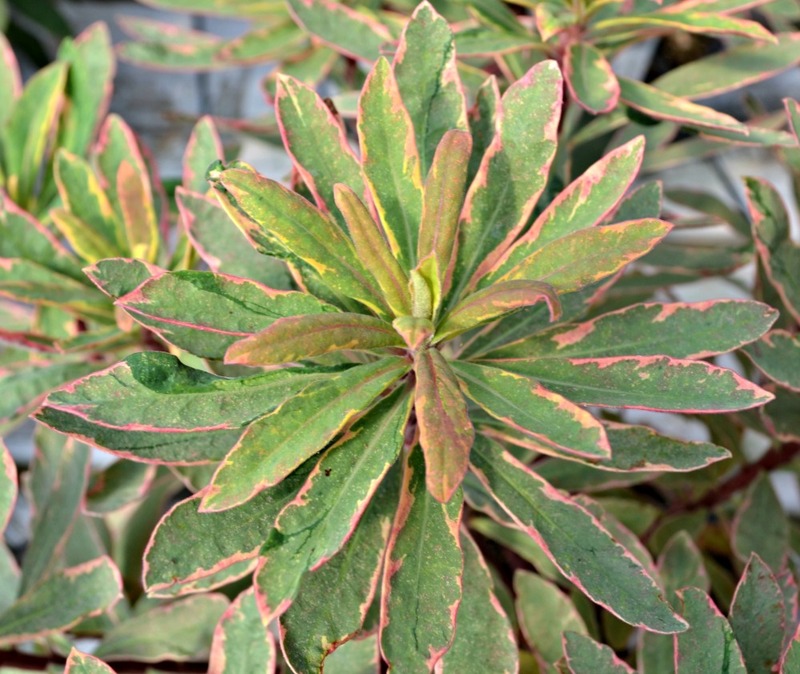 Euphorbia, also know as Spurge, is a great plant for height in fall and winter gardens. Each variety has its own unique foliage color and all have excellent color changes in the fall from shades of copper/orange to red. Plant in full to part sun and in well draining soil. Cabbage and kale are a fall and winter staple when paired with ornamental grasses and pansies. With vibrant colors from shades or purples, pinks and whites, ornamental cabbage and kale make a great focal point in cotainers or flower beds. 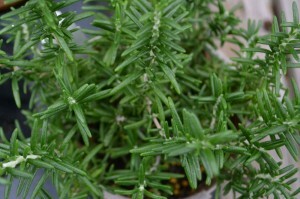 Plant in part to full sun and keep well watered throughout the winter. 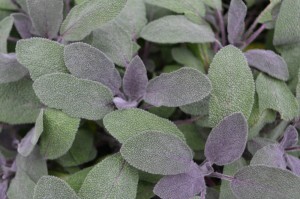 Sage, known for its herbal qualities, is also a great fall container and garden perennial because it holds its color throughout the winter. Colors range from lime green to purple and even tricolor varieties. Its hardiness and wide variety of uses mean its a must have in winter gardening. Plant in well draining soil in full sun. Rosemary, also well known for its herbal uses is also used often in fall gardening because of its cold hardiness and easy maintenance.